CCCU’s free Online Banking service lets you manage your account without having to visit one of our Portland credit unions. 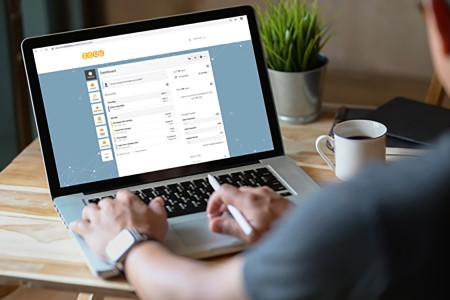 Our confidential, secure and updated Online Banking tool gives you 24/7 access to banking services along with all of your current account information from any location and device with an internet connection. Order checks, request an advance on your line of credit, email us and much more! With CCCU’s Online Bill Pay, you can manage all of your bills anywhere at any time. It is easy, convenient and secure - we guarantee it! Electronic notifications that alert you when your payments are due and how much you owe. Send money via Bill Pay to others through an email, direct deposit or check at no charge. You can be confident that all of your account information is secure and protected. We have taken a number of steps to ensure protection of your account while using our online services. You can check the status of your payments for the last 120 days. Need to look further back? Use the “History” tab to access more account history. You can also print a copy for your records. Schedule recurring payments so your regular bills, such as your mortgage or auto loan, are paid on time, every time. Or, make a one-time payment to anyone. For support, the Online Bill Pay Hotline is available Monday-Friday 4:30am-12:00am PST toll-free at 1.844.357.9663.